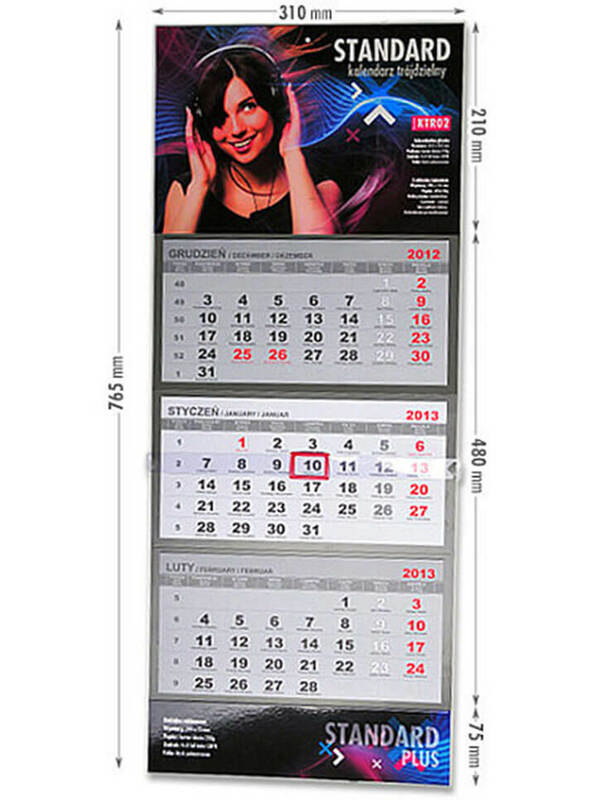 STANDARD calendar is the smallest of our three panel wall calendar. The size 310x690mm is perfect for any wall and will certainly be noticed by customers. It has 3 separate calendars (for current month, previous month and next month). 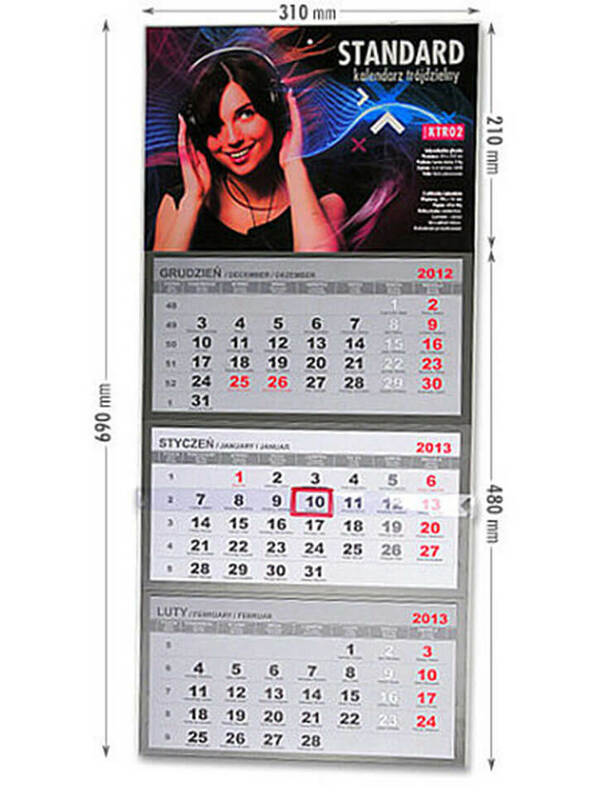 The dimensions of a signle calendar is 290x145mm. Fully customizable design to suit your needs. Free Design service with every order above €200. Superb quality product with range of finishing options. 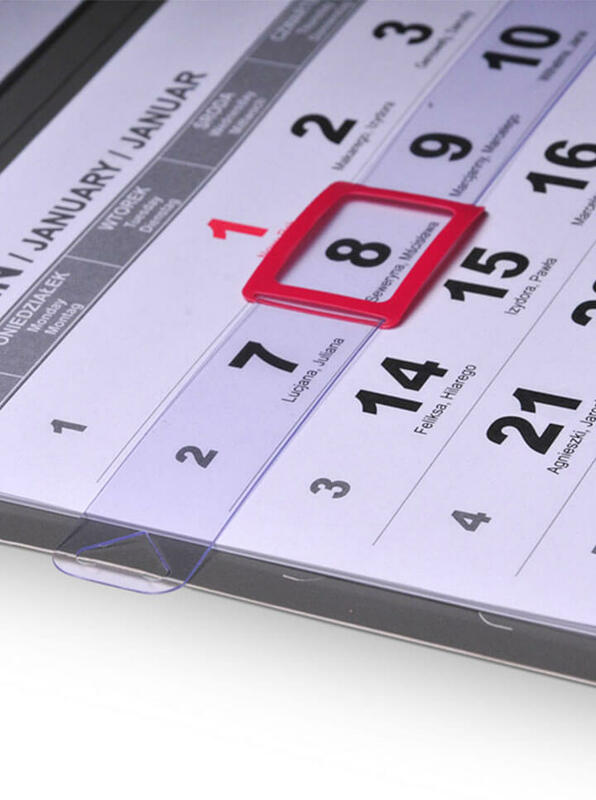 Calendar Standard - is a classic calendar with flat or "pillow" head, on which you can place an individual project, and 3 separate calendars. 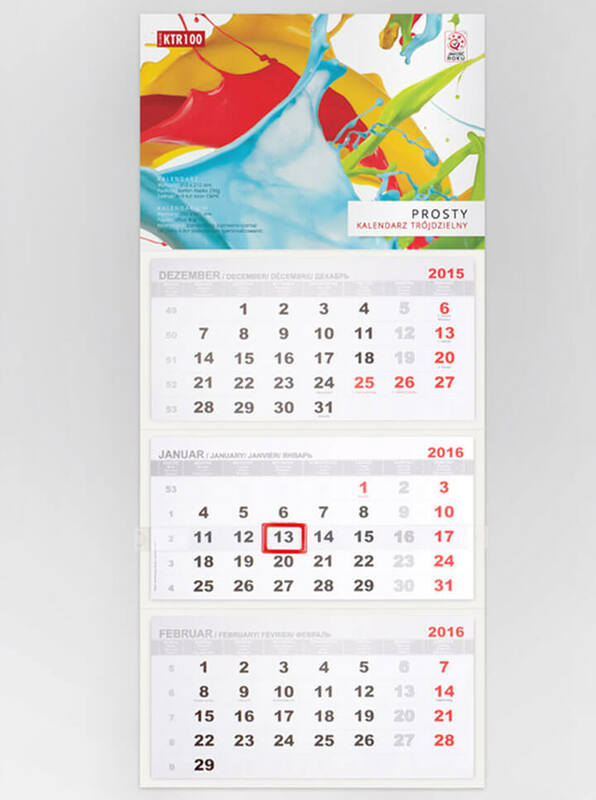 Head of the calendar is printed in full color on 250g board. 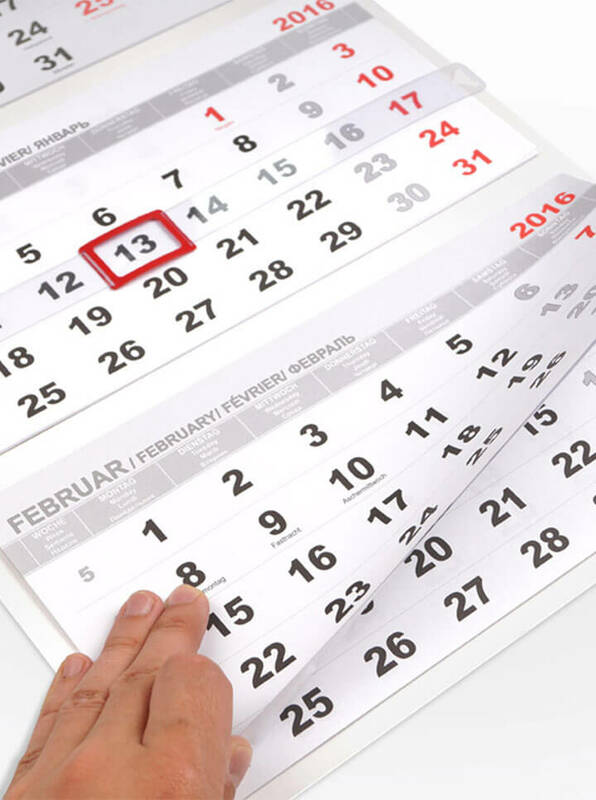 Appended to the head is the board in neutral gray color with 3 calendars - the current month, as well as the previous and next printed on 80g offset paper. 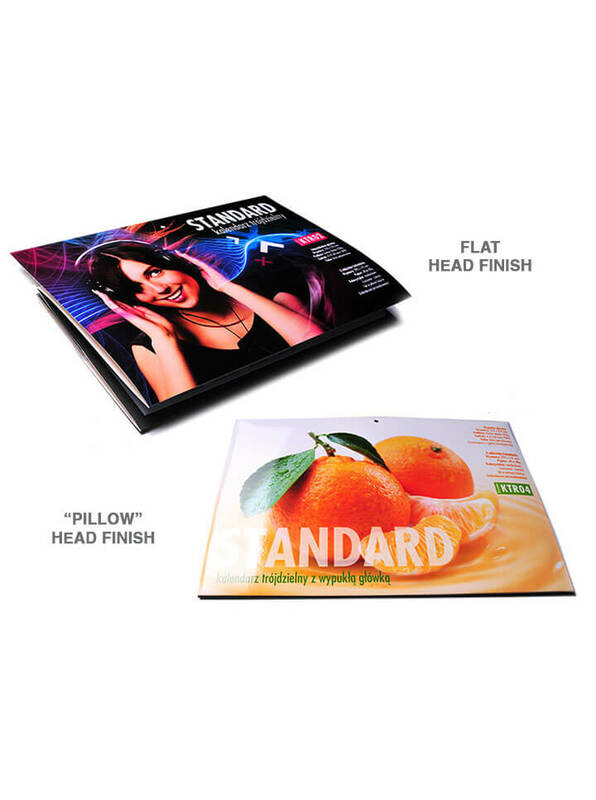 Optional advertising space size 310x75mm can be added at the bottom (STANDARD PLUS). 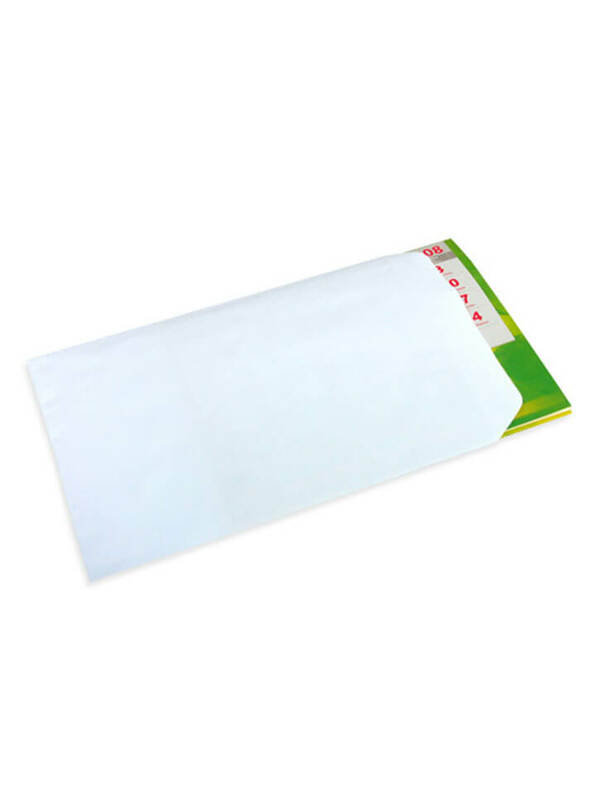 Can be supplied with or without envelope. 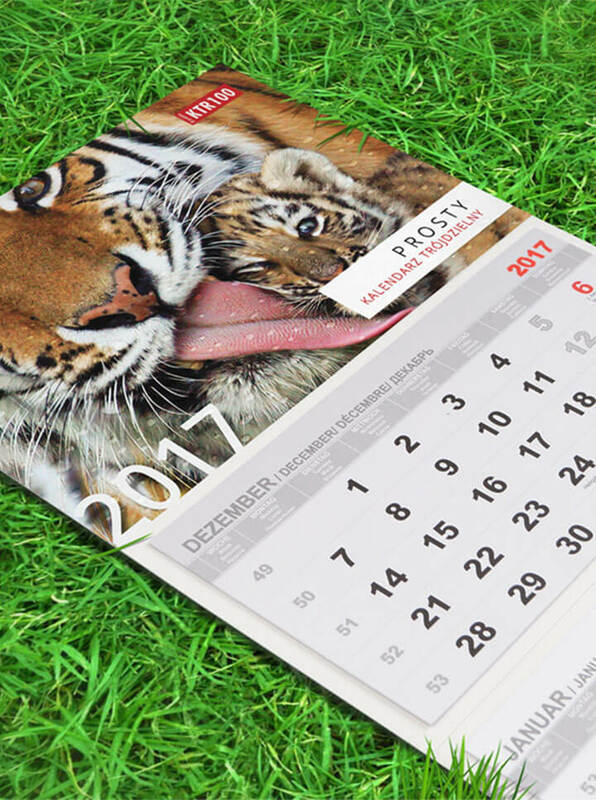 Paper type Main body - board 250g, calendars 80g offset. Calendar Head Flat or "Pillow"